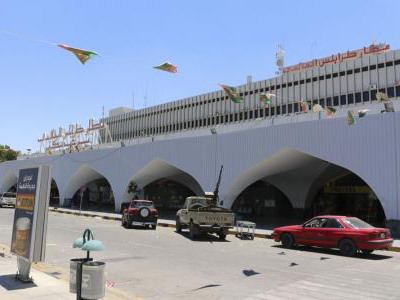 Libya closed the only functioning airport in Tripoli again after rockets were fired in its direction, officials said, days after flights resumed following an earlier shutdown. Matiga airport, a former air base used for commercial flights since the main international airport was destroyed in 2014 by militia fighting, said all flights were suspended. It closed and opened several times since a flare-up in violence in late August. Rival armed groups in and outside the city fought over territory and resources in the OPEC oil producer since the toppling of Muammar Gaddafi in 2011.